I love this verse. It is so reassuring. Jesus says this at the end of the long teaching He gives in the Gospel according to Saint John right before His High Priestly prayer in John 17 (which I also love). But what makes it more interesting is what He says right before that. His disciples declare their faith, and Jesus foretells that they will all abandon Him and be scattered each to his own home. But He wants them to have peace. In some ways this does not seem so different than the times in the Gospels when Jesus would teach His disciples and then send them out to preach. They would be scattered. And here before His death, He has taught them, and now again they will be scattered. After Pentecost, they all went out and preached and were scattered all over the world. And again we, the Church, are each scattered to our own homes all over the face of the earth. We are a scattered people. And just as Christ was not alone, and had His Father, so do we. We are not alone. Wherever we are in the world, we are Christ’s, for He has conquered the world. 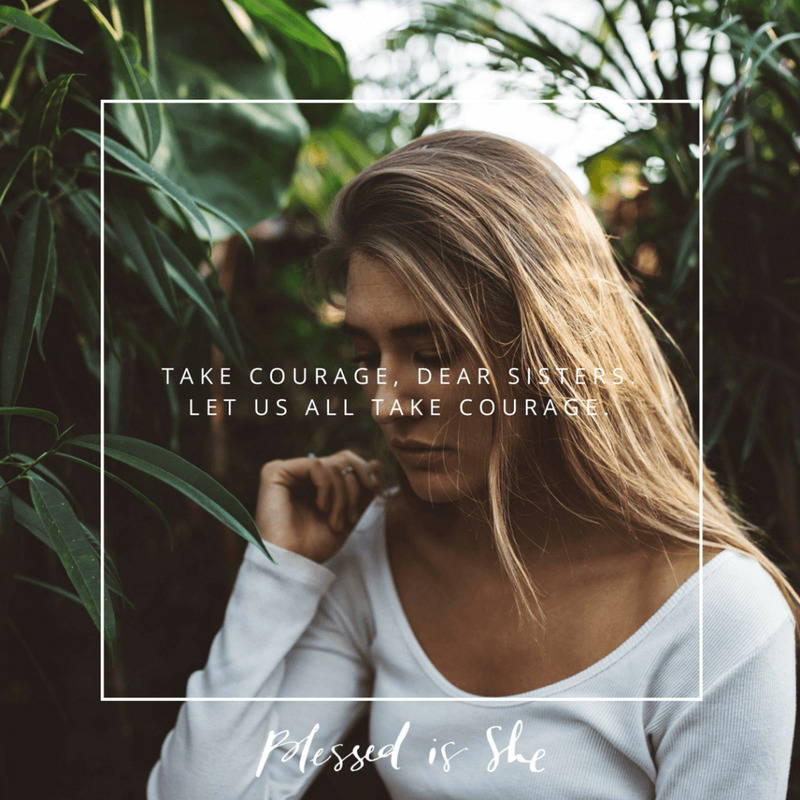 Take courage, dear sisters. Let us all take courage. Take courage in the face of the daily tasks. Take courage to overcome the persistent sinful habits. Take courage in the face of persecution. Take courage when nothing is going right in the world. There is nothing to fear from all the trouble we face, from our daily struggles to the moral decay of our society to the persecution of Christians at home and abroad to natural disasters to wars. We will have trouble, but Christ has already conquered the world. It is not easy to have courage in the face of our troubles, but let us not forget that Christ has already conquered. He will give us the courage we need. Where do you need more courage? Previous Post How Soon is Soon?